Having already completed all of her necessary credits to graduate, Nalee Douangvilay spent spring term working with Opera Theatre of St. Louis. While driving back to campus in early June for commencement exercises, thoughts turned to what she would do with her life. That’s when a special email arrived on her phone. The message informed Douangvilay she had been awarded a Fulbright Fellowship, getting promoted from alternate status to recipient. “It was really unexpected, very exciting, very weird, but good kind of timing,” said Douangvilay, who graduated with honors in June with a bachelor’s degree in English. Douangvilay, along with fellow 2018 graduate Augusta Finzel and 2017 Lawrence graduate Emilio Salvia, are the three latest recipients of Fulbright awards. They join William Gill and Elena Hudacek who were awarded Fulbright grants earlier this year. The five Fulbright winners matches 2014 for the most in a single year in Lawrence history. Beginning later this summer, Douangvilay, Salvia and Finzel will spend the following 10 months abroad as English language teaching assistants and cultural ambassadors, courtesy of the United States Department of State and the J. William Fulbright Foreign Scholarship Board. 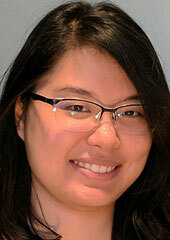 Douangvilay’s Fulbright will take her to South Korea. Leaving in July, she will spend six weeks in orientation before beginning her teaching assignment. A cultural outreach aspect is part of the Fulbright grant, and Douangvilay, who was very active in the theatre department at Lawrence, is looking forward to continuing those interests in Korea. Like Douangvilay, Finzel was originally named a Fulbright alternate. Her initial country of choice, Russia, was put on hold, but when her application was considered for Greenland, she was approved. Although Greenland was not her first choice, Finzel is still thrilled to be heading somewhere central to one of her primary interests – climate change. 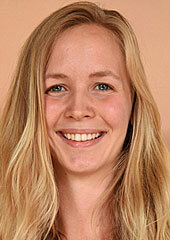 She has been assigned to the capital city of Nuuk. “I’m really excited. Greenland has never really been on my radar,” said Finzel. “I’m interested in melting permafrost in the Arctic and other climate change problems. Greenland works really well with those interests because so much of it is inside the Arctic Circle. It’s right at the heart of many of these problems. Finzel also hopes to explore the connection between climate change and its effects on the local population. One of Finzel’s academic advisors, Professor of Biology Bart De Stasio, said her Fulbright grant will provide a unique and valuable experience for her. Salvia, the 2017 Lawrence graduate, will be heading to Harsewinkel, Germany, a town of 25,000 in the northwest part of the country, where he will teach at a ‘gesamtschule” — a comprehensive school. A 2015 study abroad program in Germany he participated persuaded Salvia to pursue the Fulbright grant originally. A native of Elmhurst, Ill., Salvia has career aspirations of working in public service or higher education and sees the Fulbright as a springboard toward those goals. As a Lawrence student, Salvia worked as a tutor with exchange students from Japan and served on several university committees with faculty. He sees the Fulbright as an extension of those experiences. As for his cultural outreach, Salvia hopes to pursue his interests in environmental education, sustainable agriculture or volunteer with refugees. Strengthening their foreign language skills will be on the top of three Lawrence University students’ to-do lists this summer thanks to the U.S. Department of State. Senior Mikaela, Stillwater, Minn., and juniors Jonathan Rubin, Marblehead, Mass., and Heidi Arnold, Oswego, Ill., each have been awarded a Critical Language Scholarship (CLS) for an intensive overseas language and cultural immersion program. Marget and Rubin both will travel to Malang, Indonesia on the island of Java for eight weeks of language instruction in Bahasa Indonesian and structured cultural enrichment experiences. Arnold will spend most of her summer living with a host family in Bishkek, Kyrgyzstan, as part of a Russian language program. Launched in 2006 by the U.S. Department of State’s Bureau of Educational and Cultural Affairs, the CLS program is designed to expand the number of Americans studying and mastering foreign languages that are critical to national security and economic prosperity. Marget, Rubin and Arnold were among 580 CLS recipients for 2018 selected from 6,000 applicants nationally. Since 2010, seven Lawrence students have received Critical Language Scholarships. 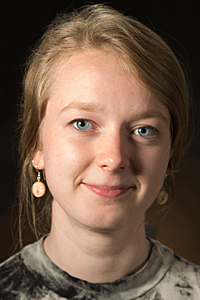 For Marget, a cello performance major, the CLS will provide a return trip to Indonesia. A member of Lawrence’s gamelan ensemble — Gamelan Cahaya Asri — she spent two weeks in Bali learning the Balinese rebab, a string instrument somewhat similar to the cello. While she picked up pieces of Balinese during her first visit, Bahasa Indonesian is the country’s national language, which is what she will be studying this summer. 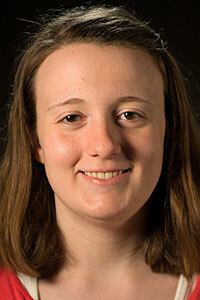 Marget, who will graduate June 10, hopes to eventually pursue graduate studies in ethnomusicology. 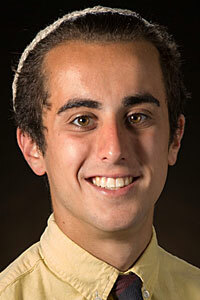 Rubin, a religious studies major, will join Marget in Malang on the same program. His focus on learning Bahasa Indonesian is to enhance his interests in studying how religion and globalization have shaped the country. While Marget had some prior exposure to the language, Rubin has been preparing for his summer in Java by self-teaching himself Bahasa Indonesian with the help of online programs. Rubin’s long-range goals are to earn a doctorate in theology and globalization and he sees being able to read Indonesian as huge advantage. Martyn Smith, associate professor of religious studies, praised Rubin as “one of the most ambitious students” he has seen in his 12 years on the Lawrence faculty. Arnold, a German and Russian major, also will be heading to Asia, but considerably farther north. She will spend eight weeks in the Kyrgyzstan capital of Bishkek, a city of nearly one million near the border of Kazakhstan. 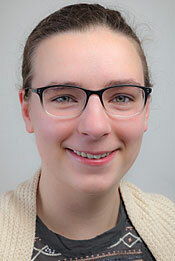 Her choice of majors may have been influenced by her upbringing: she grew up with a German father and a Russian mother, who graduated from Lawrence herself. Arnold’s scholarship is evidence of persistence. She applied for a CLS as a sophomore but went unrewarded. She applied again and this time was among the 2018 recipients. “It’s so important when you study a foreign language to get practical experience with native speakers,” Arnold said of her retry. While she still has one more year at Lawrence ahead of her, Arnold is contemplating career paths. Don’t blame Meghan Murphy if she isn’t 100 percent focused during the upcoming Spring Term final exams. 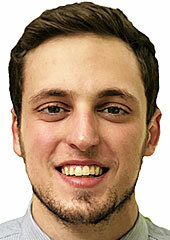 The Lawrence University sophomore will have good reason for a little mind wandering. She needs to be in Tainan, Taiwan by June 8 — the final day of exams — as a recipient of a U.S. Department of State Critical Language Scholarship (CLS) to study Chinese. Murphy, a double degree candidate pursuing majors in religious studies and violin performance, will spend eight weeks living with a host family in Tianan, a city of nearly two million on the the island’s southwest coast during the program. The CLS program includes four hours a day of personalized, intensive language study as well as various activities and excursions designed to expand students’ understanding of the history, politics, culture and daily life of their host country. The scholarship covers all the program’s expenses and includes a $960 stipend. Selected from more than 5,700 applications nationally, Murphy was among 560 U.S. undergraduate and graduate students awarded one of the state department’s critical language scholarships. Murphy has been to mainland China three times previously, but this will be her first trip to Taiwan. She went to China with her family when she was 11 years old and spent a year in Beijing during a gap year before coming to Lawrence. Meghan Murphy spent 18 days in China last December as part of Lawrence’s “Sustainable China” initiative. Murphy’s most recent trip to China was last December as part of Lawrence’s 18-day multi-disciplinary initiative “Sustainable China: Integrating Culture, Conservation and Commerce.” She was one of 12 students to participate in that program. “I hope to continue applying what I learned on the Sustainable China trip particularly in relation to the intersection of religion beliefs and environmental awareness,” said Murphy. 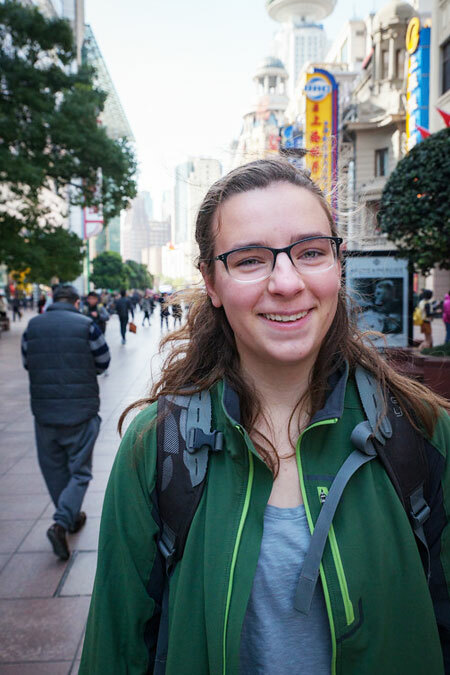 “I had the pleasure of working with her over the course of several months as part of the Sustainable China traveling classroom and the critical language scholarship will be an excellent springboard for her future success,” said Brozek. While her critical language scholarship may complicate the final weeks of Murphy’s Spring term, it’s a trade-off she’s more than willing to make. The CLS, a program of the U.S. Department of State, Bureau of Educational and Cultural Affairs, was launched in 2006 to increase opportunities for American students to study critical-need languages overseas and expand the number of Americans studying and mastering critical-need languages, including Arabic, Chinese, Indonesian Japanese, Korean, Persian, Russian, Indic (Bangla/Bengali, Hindi, Punjabi and Urdu) and Turkic (Turkish and Azerbaijani).